TigerSwan is one of several security firms under investigation for its work guarding the Dakota Access pipeline in North Dakota while potentially without a permit. Besides this recent work on the Standing Rock Sioux protests in North Dakota, this company has offices in Iraq and Afghanistan and is run by a special forces Army veteran. The Morton County, North Dakota, Sheriff’s Department also recently concluded that another security company, Frost Kennels, operated in the state while unlicensed to do so and could face criminal charges. The firm’s attack dogs bit protesters at a heated Labor Day weekend protest. Law enforcement and private security at the North Dakota pipeline protests have faced criticism for maintaining a militarized presence in the area. The American Civil Liberties Union (ACLU) and National Lawyer’s Guild have filed multiple open records requests to learn more about the extent of this militarization, and over 133,000 citizens have signed a petition calling for the U.S. Department of Justice to intervene and quell the backlash. The Federal Aviation Administration has also implemented a no-fly zone, which bars anyone but law enforcement from flying within a 4-mile radius and 3500 feet above the ground in the protest area. Dallas Goldtooth, an organizer on the scenes in North Dakota with the Indigenous Environmental Network, said on Facebook that “DAPL private security planes and choppers were flying all day” within the designated no-fly zone. Donnell Hushka, the designated public information officer for the North Dakota Tactical Operation Center, which is tasked with overseeing the no-fly zone, did not respond to repeated queries about designated private entities allowed to fly in no-fly zone airspace. TigerSwan has offices in Iraq, Afghanistan, Jordan, Saudi Arabia, India, and Latin America and has headquarters in North Carolina. In the past year, TigerSwan won two U.S. Department of State contracts worth over $7 million to operate in Afghanistan, according to USASpending.gov. TigerSwan, however, claims on its website that the contract is worth $25 million, and said in a press release that the State Department contract called for the company to “monitor, assess, and advise current and future nation building and stability initiatives in Afghanistan.” Since 2008, TigerSwan has won about $57.7 million worth of U.S. government contracts and subcontracts for security services. Company founder and CEO James Reese, a veteran of the elite Army Delta Force, served as the “lead advisor for Special Operations to the Director of the CIA for planning, operations and integration for the invasion of Afghanistan and Operation Enduring Freedom” in Iraq, according to his company biography. 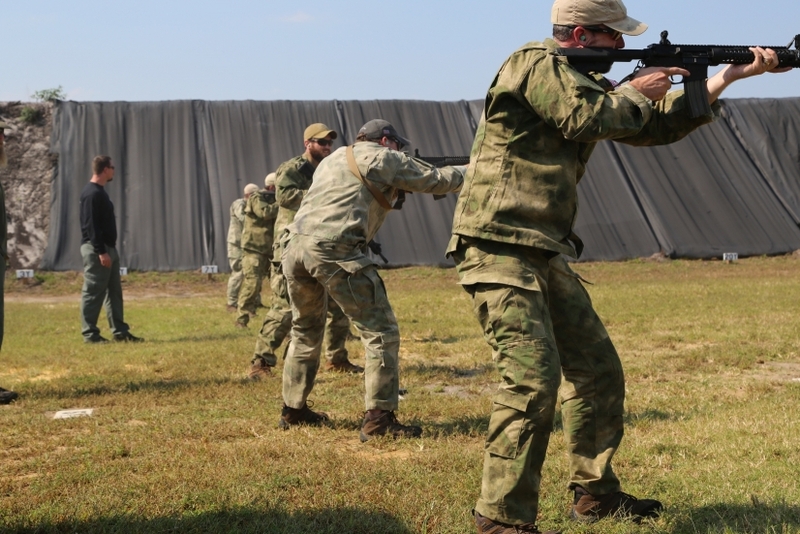 Army Delta partakes in mostly covert and high-stakes missions and is part of the U.S. Joint Special Operations Command (JSOC), the latter well known for killing Osama Bin Laden. One of TigerSwan’s advisory board members, Charles Pittman, has direct ties to the oil and gas industry. Pittman “served as President of Amoco Egypt Oil Company, Amoco Eurasia Petroleum Company, and Regional President BP Amoco plc. (covering the Middle East, the Caspian Sea region, Egypt, and India),” according to his company biography. Investigative journalist Jeremy Scahill told Democracy Now! in a 2009 interview that TigerSwan did some covert operations work with Blackwater USA, dubbed the “world’s most powerful mercenary army” in his book by the same name. Blackwater has also guarded oil pipelines in central Asia, according to Scahill’s book. Reese advised Blackwater and took a leave of absence from TigerSwan in 2008 in the aftermath of the Nisour Square Massacre, a shooting in Iraq conducted by Blackwater officers which saw 17 Iraqi civilians killed. TigerSwan has a business relationship with Babylon Eagles Security Company, a private security firm headquartered in Iraq which also has had business ties with Blackwater. Well water, in the photo, remains plentiful at Venetucci Farm, Colorado, but water law requires purchase of an almost equal amount of “allocated” water before they can pump. Sources for allocated water are becoming harder to find. 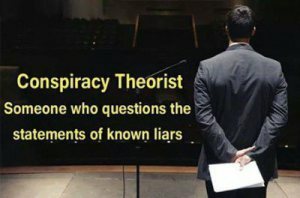 Since 1992, a systematic attack on agriculture and food production in the United States has been developing, however the West has bore the brunt of this highly purposeful agenda which began with President Clinton in 1993 and is currently being promoted in California by the courts and Governor Brown. Consequently, ranchers have had their long-existing grazing and water rights methodically stripped away on Federal land and now private lands as well. Agricultural interests have been relentlessly sued by environmental groups and then over-regulated by the government. Here is an example: The California State Water Board, recently invoked an emergency water allotment regulation without due process. Since January 2015 major changes have been made in the State of California with regard to private wells and ground water. There is now a new move by Governor Brown who recently signed a bill that changed water laws in the fall of 2014, which undermines the people’s property rights where private wells all over the state, will begin to be metered wirelessly by satellite. It is foreseen that the next step will eventually be mandated flow meters on pipelines coming from lakes, canals, creeks and rivers. Already, state water agencies and/or community water districts have begun to implement allotment controls which allows the monitoring of well water meters and includes the use of fines and enforcement. I am familiar with someone in Northern California that was recently forced by P.G.& E. to put in a smart meter on his new well, and yes, it was mandated. If local government takes this a step further and mandates flow meters on irrigation pipelines coming from a variety of water sources, there will very well be a limit to the amount of water that may be taken. What is now transpiring more and more is a rogue and unconstitutional government that is on a mission to monitor and control water locally and this fact is already happening in other states. Presently, broad government overreach, in matters of personal needs, such as food, water, shelter, & electricity, is off the charts. 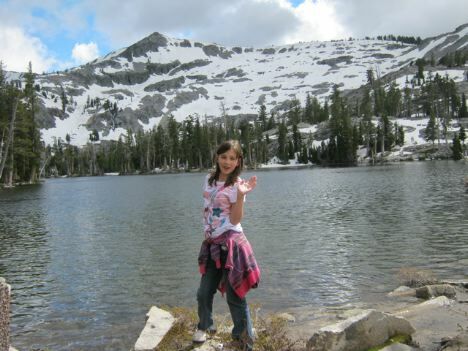 And let’s not forget about the other issues such as saving the frogs and toads by eradicating thousands of trout in the Sierras. There are thousands of other “endangered” species that are all part of a massive, decades old agenda that includes a tidal wave of lost rights and jobs. As “we the people” entered into the year 2016 and beyond, were they aware of the plague that was consuming our country? It came at first as a black cloud creeping along the city streets and then entered through the crevices of our windows and doors and finally made its way into the very rooms of our houses. It began to sedate the masses into a near slumber but then retreated and continued following a path to higher ground. I followed the cloud as it rose above the hills and then began to touch the waters, the lakes and the rivers. It continued then to the higher elevations and to the utmost parts of the wilderness areas. There, the cloud stayed for a very long time over the vast Sierra Nevada Mountains until a mighty wind began to take it eastward. Now, I was on a quest to find out a lot more about this strange phenomenon. Besides the cloud, there were other factors responsible for another findings that began to surface in my investigation. A trail of total devastation had found its way to the deepest parts of the sea to where 1/3 of all living things had died. While this fact had been covered up by government and the mainstream news, another gigantic black cloud spread out for hundreds of miles and continued to engulf hundreds of cities, thousands of factories and countless places of business which were all then forced to close. As the plague reached the Central Valley, the massive network of waterways from the Sacramento Delta down to Bakersfield, began to trickle away and then thousands of orchard trees began to die. The devastation was overwhelming but then I made another observation. THE DROUGHT & THE SMELTDOWN AT THE DELTA? called the Delta Smelt. So there’s not enough water for domestic use? Since when and how did the mainstream media miss this one? They didn’t. They just refused to report it. terms such as “Climate Change.” Compromised freedom of speech and the prevention of the flow of ideas is the endgame which is controlled by the Newspeak machine and the careful manipulation of the English language. So in this process, a $45 billion agricultural industry in the Central Valley ends up being decimated, all the while the smelt take precedent over the people and our food production. So Californians must now ask themselves why is Governor Brown, the courts, the environmentalists, and the legislature on a mission to prevent all people and the farmers from having natural rights to their own water? important to allow nearly a trillion gallons of water to go to the ocean while food prices are soaring and foreclosures in the Central Valley are ongoing. What else could one expect from a government which is run by a bunch judges and legislators who care more for the livelihood of fish and critters than the people. many more acres will be taken out this year? So where’s the bulk of the water ending up? It’s on its way either to Southern California for domestic use and swimming pools or ending up in the ocean while America’s richest farmland lies fallow boosting the prices of food nationwide. And this is a government for and by the people? I am afraid not. It is a government that does exactly what it wants to no matter how the people vote or what they think. Will saving rainwater falling into our rain gutters become the next illegal act signed by the governor? The P.G.& E. is already requiring smart meters on all of the new wells that are going in. If persons are drawing too much water from their well will they be fined or will their well pumps just be turned off automatically via satellite? Control the water and the food of the world and you will control the people. 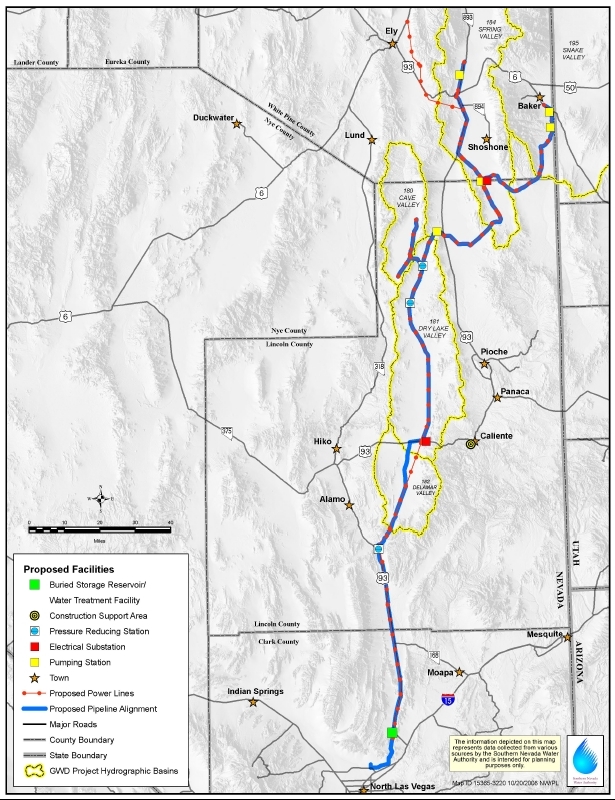 Opponents of the controversial proposal to pump and pipe groundwater from a vast region in eastern Nevada to Las Vegas say a Nevada Supreme Court ruling bolsters their case that the pipeline project can’t pass scientific, environmental or legal muster. On August 26th the Nevada County Board of Supervisors (BOS) unanimously passed a resolution “declaring an ongoing emergency due to the … threat of wildfire in Nevada County, and urging the Governor of California to take an active role at the federal level to demand that the federal government take action…” That may sound like a great idea to many, but there may be more to the picture. On July 22nd the Sierra County BOS was the first to sign a county “Proclamation of Local Emergency” resolution. In the supporting documents provided regarding that agenda item, there was far more information than what is seen in their resolution. How Clear Can Law Be? I have a mandatory appointment with the Tehama County Superior Court September 23, 2013 at 1:30 PM. My “Fishing Without A License” citation (so called infraction) will be my showcase Declaration of Three of our Constitutional Rights. The following Quotes should enlighten the Judge to dismiss this citation because my plea will be “Innocent” until Proven Guilty. “Where rights secured by the Constitution are involved, there can be no rule making or legislation which would abrogate them.” Miranda v. Arizona, 384 US 436, 491.